Having trouble getting your child to eat his fruits or veggies? Want to make sure what you’re getting is straight from the farm? Try picking your own. Taking your children to pick their own fruits and veggies can be the perfect way to get them to try something new and make sure that what they eat is healthy. Pick-your-own farms are available all over the country. They can be found easily by visiting a website such as Pickyourown.org. Summer is the best time for picking your own fruits and veggies because that’s when most gardens and patches are at the height of production. 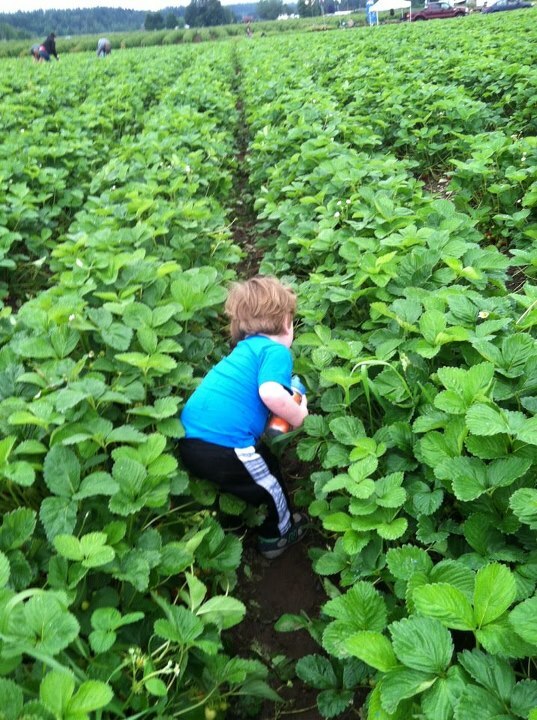 Visit a farm that specializes in berry picking and pick your own raspberries, blueberries or strawberries. You may also find farms with pick-your-own peaches or pears or farms with special programs in the summer that are designed to teach children about gardening and harvesting vegetables. If you’ve missed the summer crop, you still have some pick-your-own options in the fall. In many areas, late summer and early fall is the perfect time to go apple-picking. Different varieties of apples ripen at different times, so your kids can try different types of apples. They may not like a traditional red delicious or granny smith apple, but find they love gala apples or other sweet varieties. Fall is also the time to go pumpkin picking. Not only can children pick out pumpkins to carve, but many farms also offer varieties of pumpkins that are perfect for making lots of pumpkin treats.